It's one of nature's greatest spectacles - hundreds of Whale Sharks feeding off the coast of the Yucatán Peninsula. Dr. Guy Harvey and filmmaker George C. Schellenger take you into the heart of an underwater wilderness to witness Whale Sharks, Sailfish and Makos. Jump in to explore an unforgettable world beyond belief and still here. And remember - why wait a whole year for just one week on (real) sharks? On July 27 and 28 history was made in the fishing community of Montauk, New York. Once known as a complete shark killing zone - a new tide is rising. 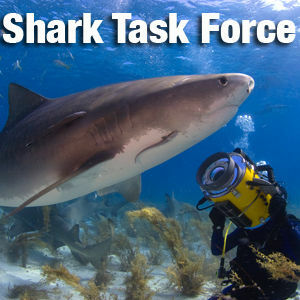 Find out more in this edition of the Shark Task Force in conjunction with the Guy Harvey Ocean Foundation. Here at the Shark Task Force, we love sharks and the ocean. We now want to take our love and share it with some very important people - veterans coming home from war. We believe that introducing them to this world will change their lives. In fact it already has changed the lives of many. So - we're introducing Operation Blue Pride to our friends here at the Shark Task Force to try and make a difference. A link to our Kickstarter Page. Please share our Kickstarter Project with friends and of course let us know what you think. After all, why wait a whole year, for just one week on sharks? 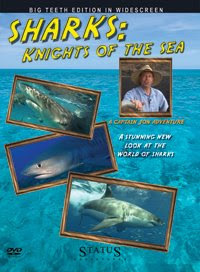 The Shark Task Force is proud to present this exclusive look at a new project to help save the ocean and ourselves. Operation: Blue Pride brings together a group of severly wounded veterans to join forces to save the ocean. But the power of the ocean is helping them as well. Join us for an emotional preview of this new project. And remember - Why wait a whole year, for just one week on sharks? A great way to kick off the New Year. Here's to a great New Year, here's to protecting the sharks!